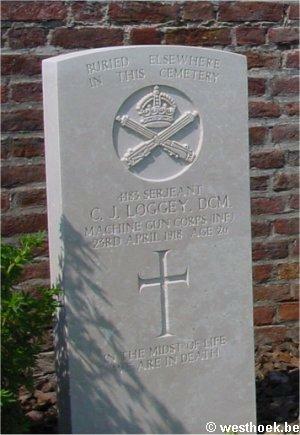 De toegang tot deze Britse militaire begraafplaats. Een algemeen zicht op deze begraafplaats met vooraan de war stone. Het achterste deel van de begraafplaats met het great cross..
La Clytte (now De Klijte) Military Cemetery is located 8 kilometers west of Ieper town centre on the N304 Klijtseweg, a road leading from the N375 Dikkebuseweg, connecting Ieper to Dikkebus, Klijte and on to Loker. From Ieper town centre the Dikkebusseweg (N375) is located via Elverdingsestraat, straight over a roundabout onto J.Capronstraat (for 30 metres), then left along M.Fochlaan. Immediately after the train station, the first right hand turning is the Dikkebusseweg. 7 kilometers along the Dikkebusseweg lies the village of Klijte (formerly Clytte) and the right hand turning at the roundabout just before the village leads onto the N304 Reningelststraat. 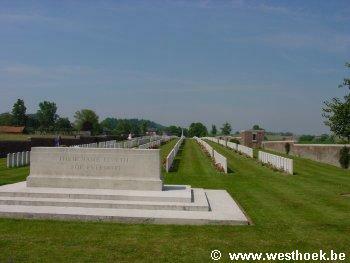 The cemetery lies 100 metres after this right hand turning on the left hand side of the road. 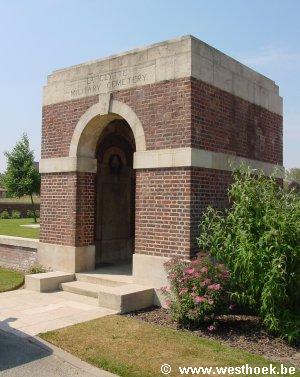 The hamlet of La Clytte was used as a brigade headquarters and burials in the cemetery, the first of which took place on 1 November 1914, were carried out by infantry, artillery and engineer units. The cemetery was enlarged after the Armistice when graves were brought in from isolated sites and small burial grounds in the surrounding area. 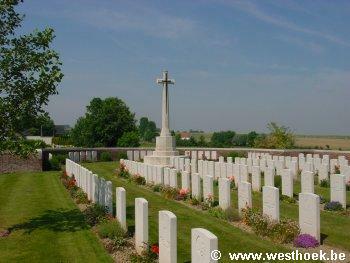 There are now 1,082 casualties of the First World War buried or commemorated in this cemetery. 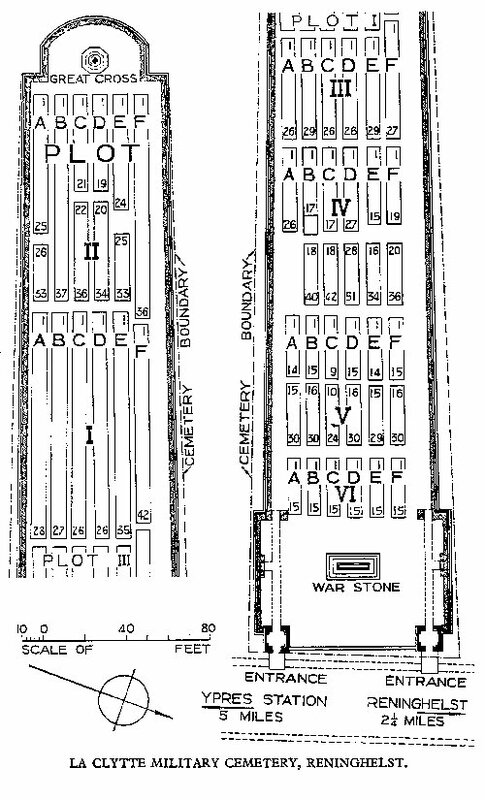 238 of the burials are unidentified and one of the graves, brought in from Leicester Camp Cemetery, is marked with the names of two men between whom the identification rests. Other special memorials commemorate casualties known to have been buried in the cemetery but whose graves could not be located. 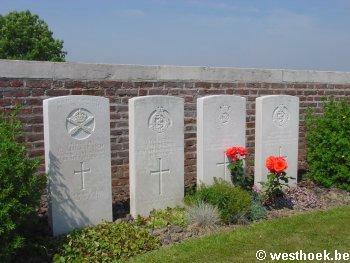 The cemetery was designed by Sir Edwin Lutyens.